Another factor in the silent generations anti cannabis attitude is the large amount of anti-cannabis propaganda they’ve been subjected to throughout their lifetime. The height of the anti-cannabis period was around the same time the current 65 and older demographic was born. Therefore, it should be understandable that education and scientific evidence be required to change 65-year-old ideals. The silver lining is that currently this same demographic is also the age group with the fastest growing use of cannabis. In recent years efforts have been geared towards educating the older generations and it seems to be working. I have personally known doctors, lawyers, professional athletes, and soccer moms, just to name a few, ranging in age from 18 – 75 who consume cannabis. Today’s wide range of cannabis coinsurers have diversified the cannabis events available for older generations. These types of festivals have typically been thought of as a young person’s event but that is just not the case anymore. When you go to a cannabis festival you are likely to see people from many different generations and backgrounds. This is largely due to the medical and recreational markets opening up possibilities to so many people. Festival creators and organizers are realizing how important the older demographic is and have started focusing on meeting their needs. Lawrence Bame, creator of the Del Mar Cannabis festival in California says his goal was to create a festival where the older generation would come and feel welcome. He wanted to do this through providing not only a fun and accepting atmosphere but also by providing education (Montes, May 2017). The more people know about cannabis the more they will start to realize that it is not something to ban; instead it is something to embrace. On a similar note, the organizers of the New Mexico festival Cannaville, said their goal is to change the stigmas associated with cannabis use. They want people to see that cannabis can offer benefits to people of all ages. Organizers say this festival is unique because they are combining education, culture, and awareness all into one great event. I think educating people about cannabis is a great step towards changing the “lazy, hippy” stigma. Big festivals are not the only cannabis events bringing generations together. Puff Pass and Paint is an organization created by Heidi Keyes in Denver Colorado with the intent to connect cannabis users of all ages in a fun, inviting way. Classes are available in 5 states so far including, Colorado, California, Oregon, Washington D.C., and Nevada. 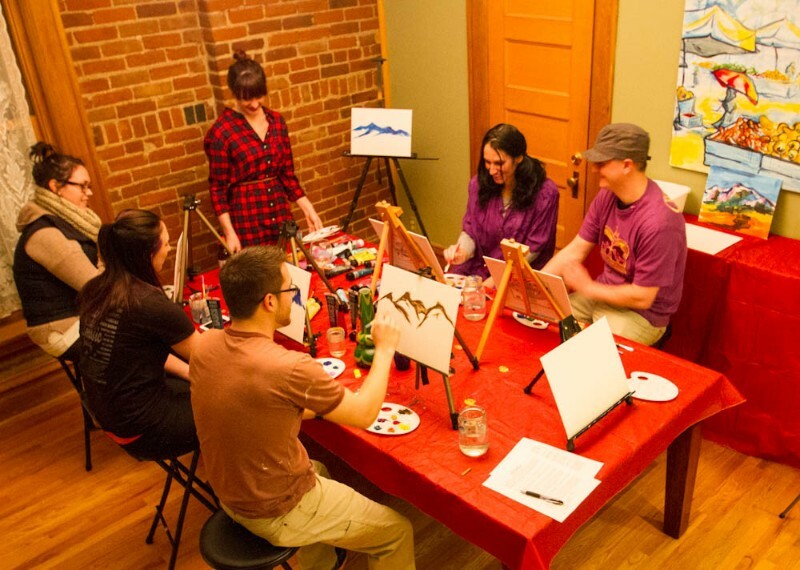 They started as a painting with cannabis class but have since expanded to include many kinds of events; ranging from cooking with cannabis to beginners’ magic. “Cannabis-users of various levels of expertise and from all over the world attend Puff, Pass & Paint to experience a sense of community in an intimate, inspired setting” (PuffPassandPaint.com). Opening the possibilities of activities that can include cannabis allows people to experiment in a non-invasive and welcoming environment. 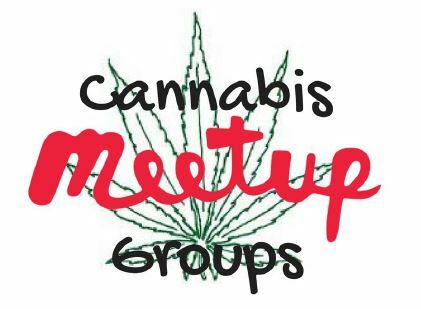 Although meetup is not an organization whose goal is to specifically connect cannabis enthusiast, its goal is to connect people with similar interest. 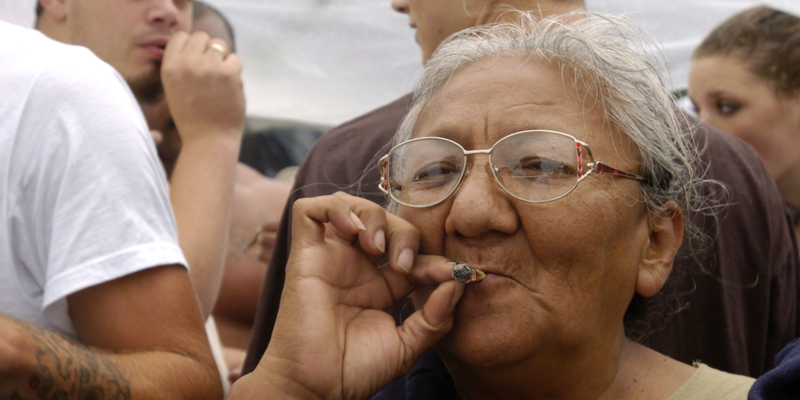 The cannabis meetup groups that have formed are made up of diverse people of all ages. There are meetups ranging from cannabis educational seminars to entrepreneurial business groups. If there is not a group you are interested in, you can create a new one and you can even set parameters such as an age range. Festivals are typically a once a year event so one thing both meetup and Puff Pass & Paint offer over festivals are the regular occurrence of events to attend throughout the year. Bars provide a meeting place for adults 21 and over to mingle while enjoying alcoholic beverages. Until now cannabis users have not had a “bar” like setting allowing them to connect and interact over cannabis safely. These types of groups are engineering a new social industry that is empowering cannabis users. If efforts continue towards educating people, I am confident that we will be successful in bringing the generations together over cannabis.